RIP Free TurboTax from State Farm. What’s the best alternative for TurboTax savings? 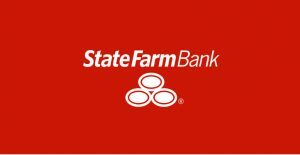 For many years, State Farm has offered TurboTax for free, or at a greatly reduced price, as a special benefit to their bank and mutual fund customers. State Farm insurance customers have also received special discounts. State Farm has made the decision to discontinue this program for Tax Year 2016. That’s a bummer. For years I have had $25 parked in a State Farm savings account explicitly for the purpose of getting free (or almost-free, since I have business filings) TurboTax. This one never got as much publicity as, say, the CHASE SAPPHIRE PREFERRED, but it was still a great deal. I’m surprised that it lasted this long, so while it’s disappointing to see it end I can’t say I’m shocked. I know that some financial institutions (for example Fidelity) offer discounts on TurboTax. For the benefit of the readership and of yours truly, are all the discounts pretty similar or do any stand out? get HR Block. used to use Turbo but pricing got out of sight. Block software can have Turbo info uploaded. I did not know you could upload TT data, thanks for the tip! Best I’ve found is $10-$20 discount from fidelity and a few others. Also check out credit karma (free!). Doesn’t import any old info (other than what it has from your credit report). I also found that it can’t do foreign tax credit (international mutual funds) and can’t seem to do my backdoor Roth IRS conversion. I’m now using Tax Act. $10+$20 for state (I was paying $20 through State Farm on the last few years for tt premiere). Tax cut can import old data from the PDF of your 2015 return. Use a CPA. Costs more but a good one will save you hundreds over what he/she costs. Always check a few places online to make sure you are actually getting a discount. Turbo Tax Premier with the supposed Fidelity discount is $74.99 for the download version. Turbo Tax premier as of the time I posted costs $54 on amazon. Of course you could get the online version of Premier for $39.99, but I don’t feel very comfortable storing so much sensitive personal data on someone else’s server. It’s only a matter of time before there is a security lapse.